San Diego Immigration Lawyer Habib Hasbini, Attornet at Law. may petition for Green Card. and answer any questions you might have. We offer a free consultation. victims of their parents’ undocumented status. What does dream act do? 5. No felonies or serious misdemeanors. assisted hundreds of clients in applying for Deferred Action. a call to find out if you are eligible for Deferred Action. in legitimate activities relating to pleasure. her stay or affidavit of support. abroad at the end of the visit. • You are otherwise admissible to the United States. categories for persons wishing to study in the United States. These visas are commonly known as the F and M visas. has no intention of giving up. or other academic institution or in a language training program. after they have completed their studies. any work by the Designated School Official. for Alien fiancé for their lawful entry into the U.S.
organized crime (S nonimmigrant visa). plans to either engage in substantial trade with the U.S.
a treaty with the United States. the visa "reciprocity" agreement between the U.S.
and the foreign country and upon the viability of the business. for a work permit once physically present in the U.S.
What Are the Eligibility Criteria for an E-1 Visa? is with the United States. is valid for two years, and can be extended indefinitely. age of 21 are eligible to receive derivative E-2 visa status. E status must possess citizenship in a qualifying country. are the E-2 Visa Qualifying Countries? Uzbekistan. This list is subject to change. Can Obtain the E-2 Visa? can obtain E-2 visa status for certain investors and employees. of operational control over the business. the Family of an E-2 Visa Holder Receive a Visa? are the E-2 Visa Investment Requirements? must be made in bona fide commercial or entrepreneurial undertaking. there are no specific wage requirements for L1A employees. Are The Requirements for L-1A Visa? lieu of a Bachelor’s Degree. Resident (LPR) status without affecting the H1B status. USCIS. H-1B transfers are not subject to the annual quota. and TN status does not include the doctrine of dual intent. border and start from scratch with a new application. must first obtain a TN-2 visa at a US consulate in Mexico. into the US in the TN-2 status. 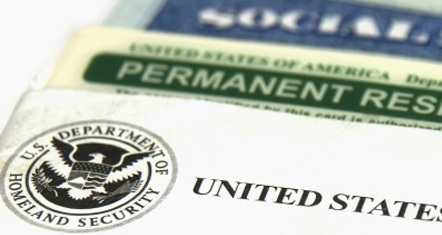 an immigrant or temporary worker visa. may apply for a waiver of the two-year foreign residency requirement. authorization to accept employment in the U.S.
application matters a great deal. social group or political opinion. firm has successfully obtained political asylum for many applicants. potential remedies, including withholding of removal. to determine if you meet the requirements of political asylum.